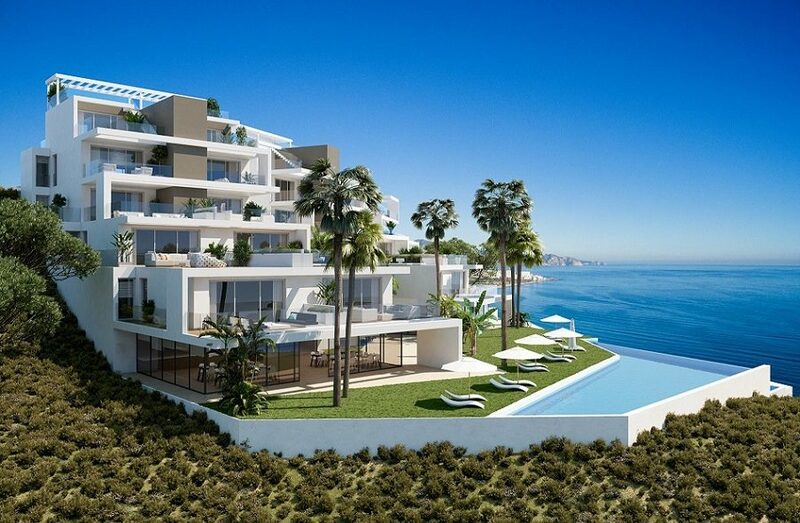 Luxury apartments Nerja for sale. 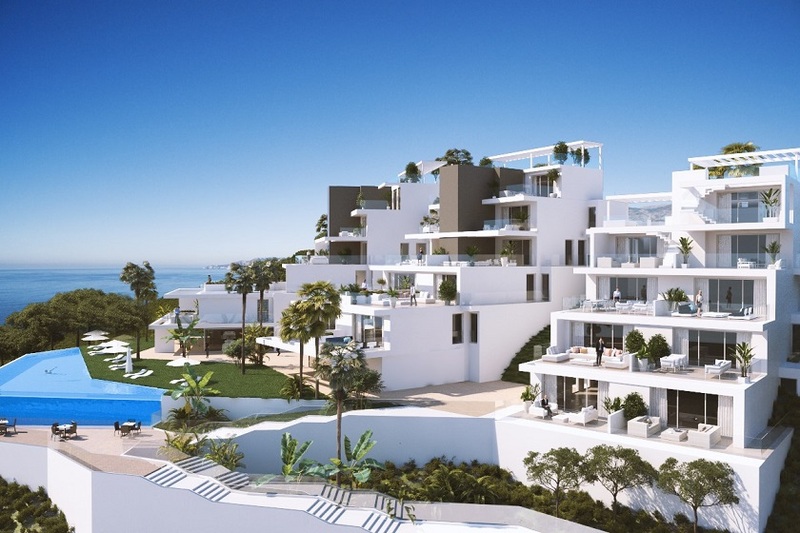 A unique project with of luxury apartments Nerja. 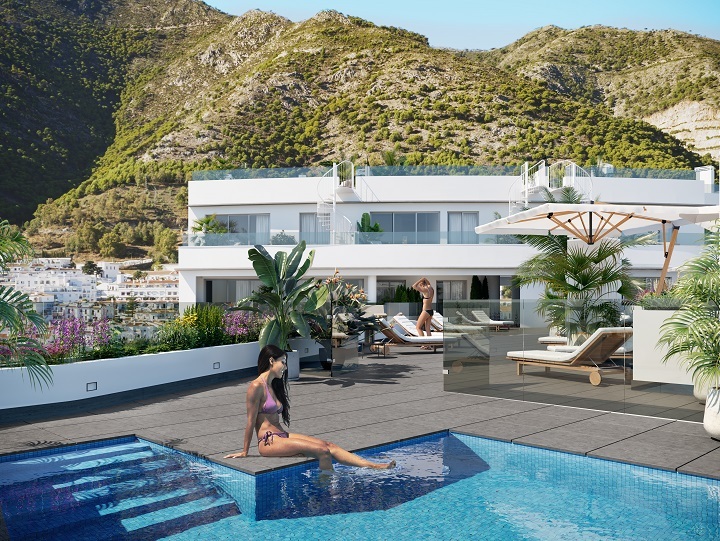 The luxury apartments Nerja are absolute top class. 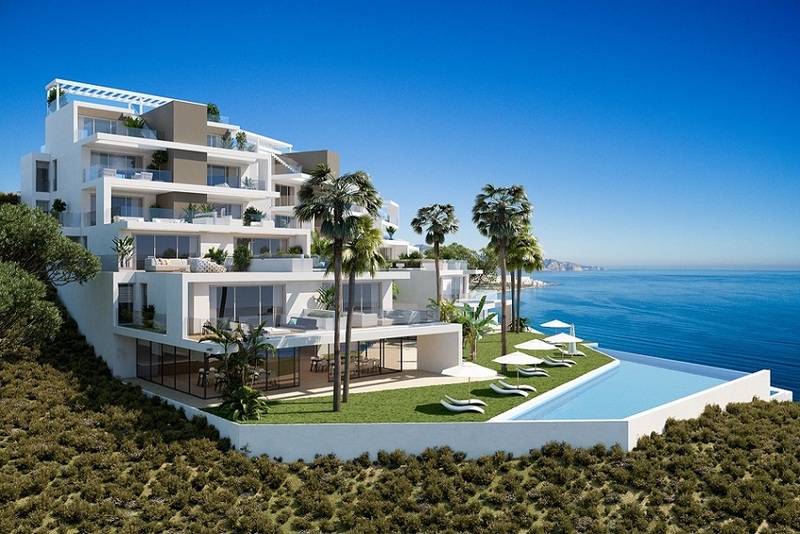 The project is on top of a Hill between Nerja and Torrox. 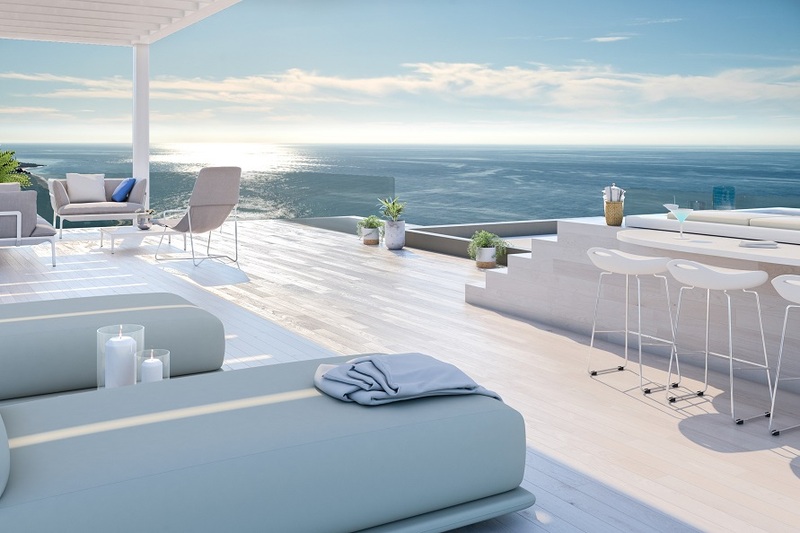 The location means that the views from all apartments will be absolutely outstanding. This project focusses on giving you a holiday home beyond the ordinary. 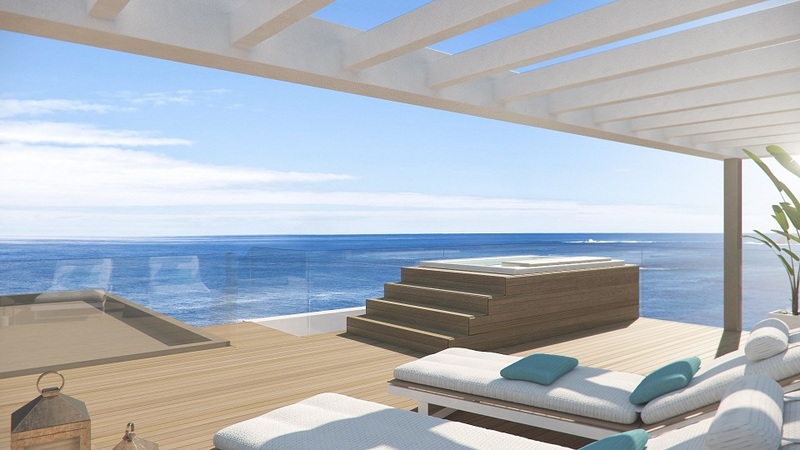 The project will have everything you could wish for for relaxing days in the sun. There will be two different pool areas. 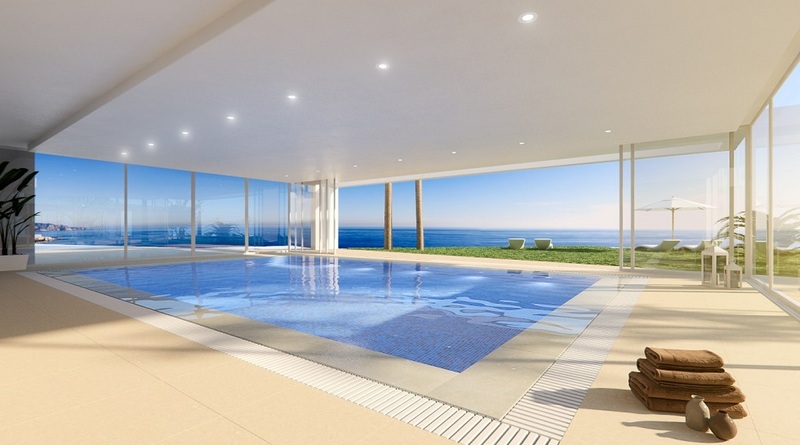 One infinity pool outdoors, and one with jet stream indoors. You will also have access to gym, sauna and a relaxing area. 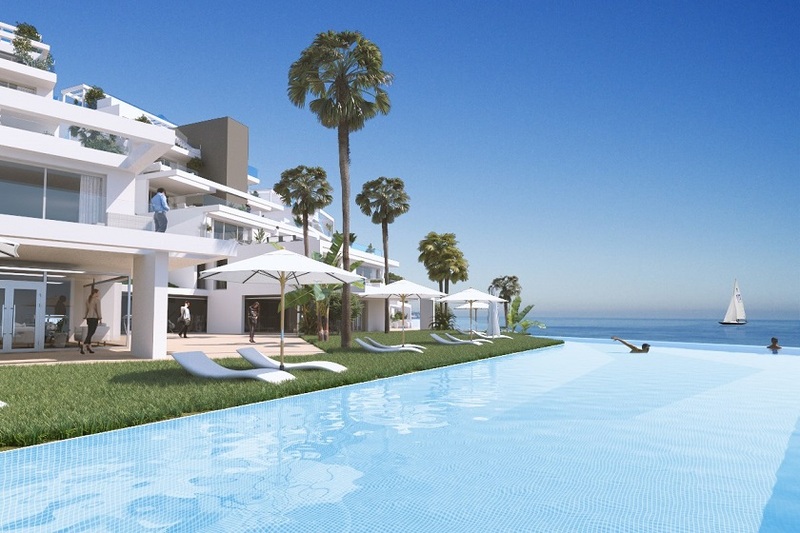 The exclusive luxury dwellings make up a unique space, on the beach front and with spectacular panoramic views. 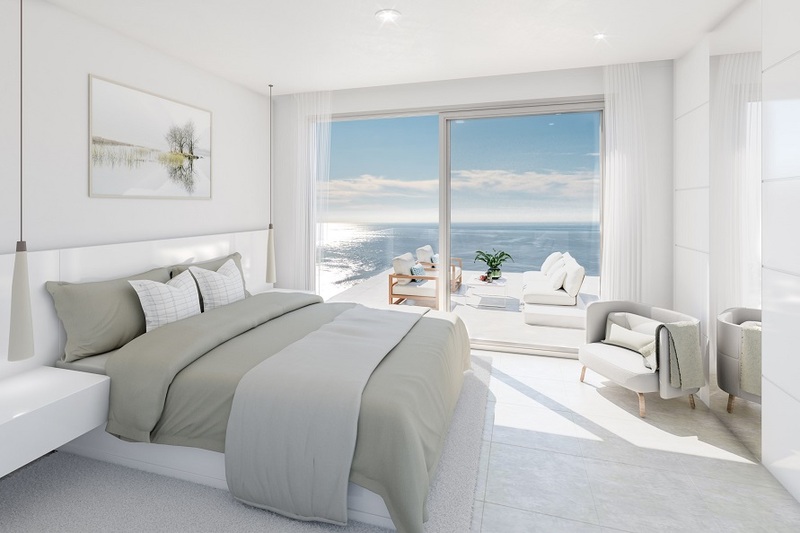 The luxury apartments Nerja come with two or three bedrooms. The apartments have a cutting edge design in contemporary style. They seduce you from the outside and make you fall in love within. There is attention for every last detail to make the most of the sun and the light. 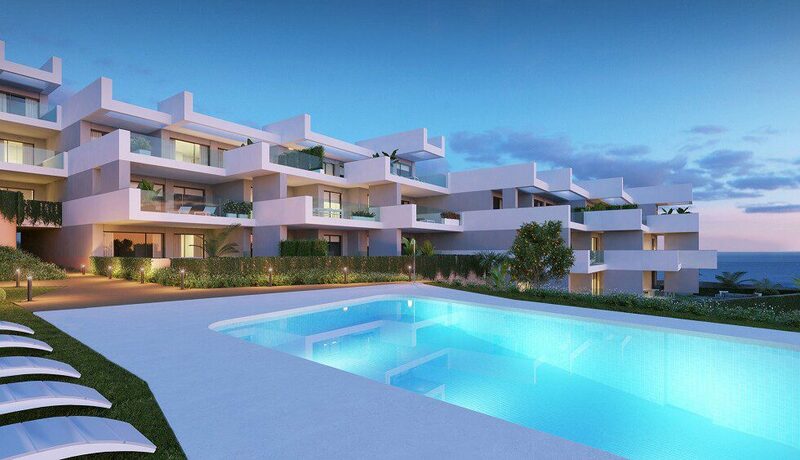 The apartments all have large private terraces with sea views. 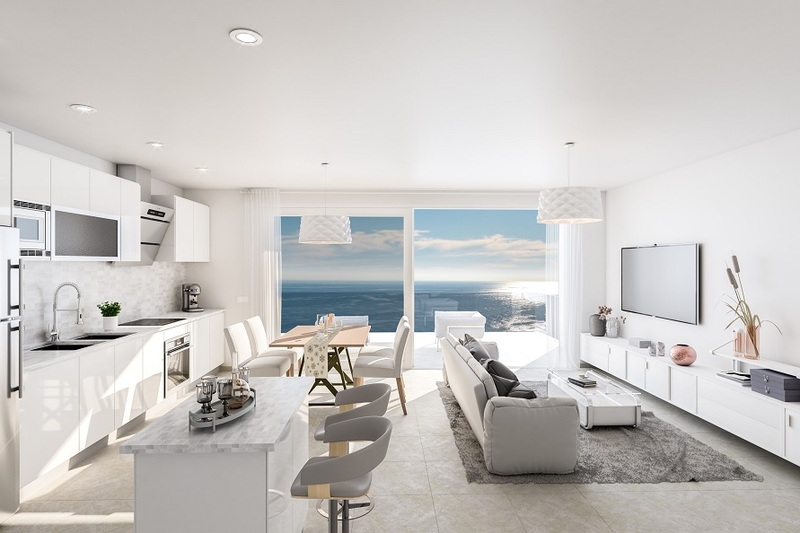 Open-plan kitchens lead into the living area, with a bar and plentiful work spaces. 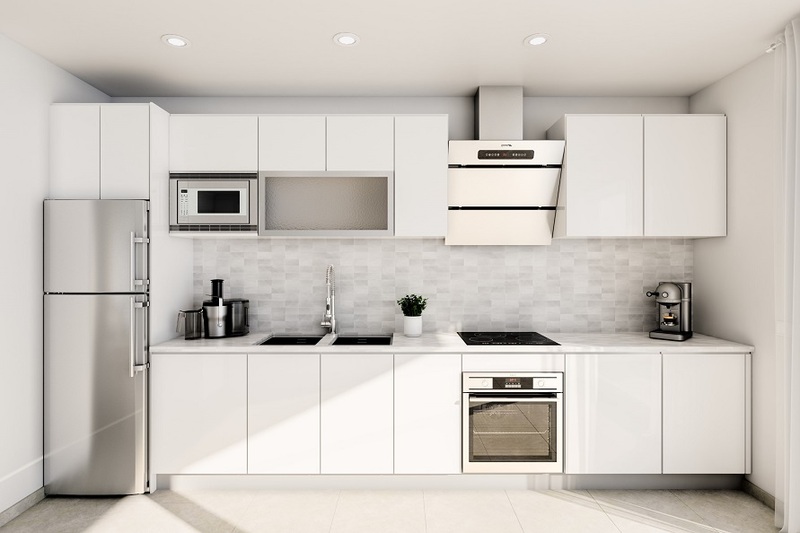 Fully furnished with the latest large capacity designs and top range Siemens appliances. There is also a separate utility room for washing and drying clothes. 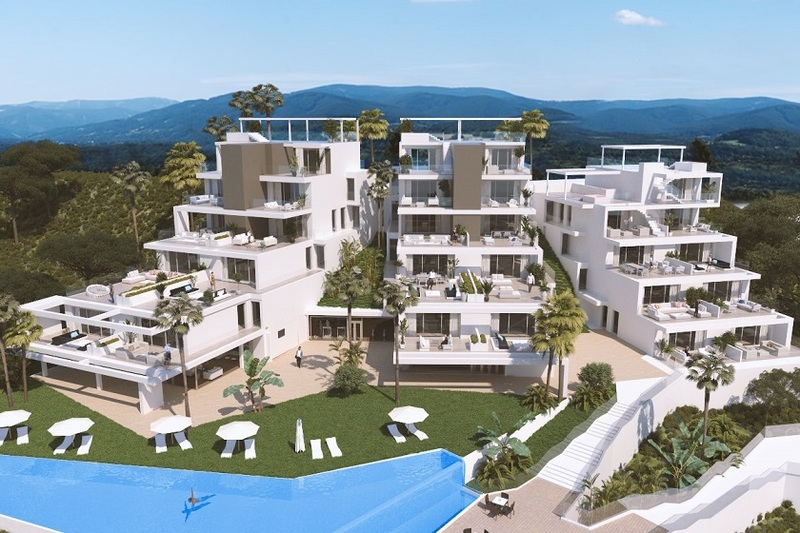 The properties are in accordance with the latest energy efficiency technologies such as aerothermia climate control and floor heating. They will also have isolated soundproofing walls. Prices include parking space and storage room. An ideal place for nature-lovers, with incredible landscapes to look out over. There are many opportunities for sports such as fishing, diving, hiking etc. A special mention must be given to the cuisine, with fish topping the bill of the culinary specialties available in this area. There are two places not be missed. These are the Nerja Cave, declared a Site of Cultural Interest, and the Balcony of Europe, with its spectacular views out to sea.